Go behind the scenes of modern contact center operations. Revolutionize the way you deliver service and connect with your customers by creating experiences that are dynamic, responsive, and tailored to your customers’ needs. 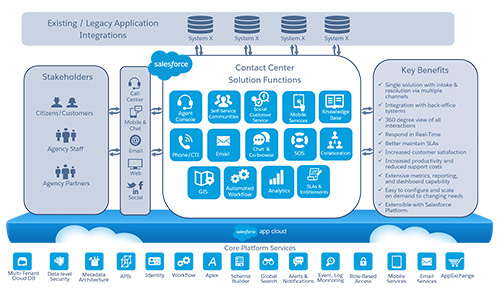 With the Salesforce Federal Contact Center solution, government agencies have improved service levels, optimized mission activities, and increased the overall level of efficiency within their organizations.